As part of the Opendata.ch conference on June 28th 2012 in Zürich there will be a workshop dedicated to the topic of open budget and procurement. Various speakers from Switzerland and Germany will make short presentations and the discuss with the audience the implications and possible future actions.  First, Friedrich Lindenberg of the Open Knowledge Foundation will share an overview of OpenSpending.org and present case studies of open budget initiatives. Second, Maja Menn, head of the finance department of the city of Zürich, will share her critical thoughts on open government data for public finances. Then three speakers, Christian Geiger of Zeppelin University, Andreas Burth of University of Hamburg, and Alexandra Collm of University of St. Gallen, will provide insight into their scientific research on open budget. Last but not least two software developers, Thomas Preusse and Daniel Meister, will show examples of new open budget applications: city budget of Bern and public procurement data of the Swiss platform simap.ch. To participate in this session please sign-up for the Opendata.ch conference here Please note: The session will be held in German.